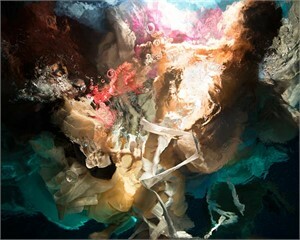 Though one might think an artist has full control over the creation of their art, artists Christy Lee Rogers and Dylan Gebbia Richards let natural phenomena have the last say. 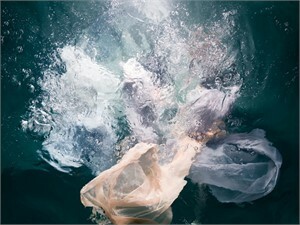 Rogers’ photographs are inspired by masterpieces from the Baroque era, but rather than relying on a steady hand and control of a brush, she builds these scenes through the unexpected movements of submerged models, vintage drapery, and the refraction of light through water – as if they themselves are “painting” the scene. Her remarkable eye then catches these celestial moments of beauty and vulnerability through the lens. 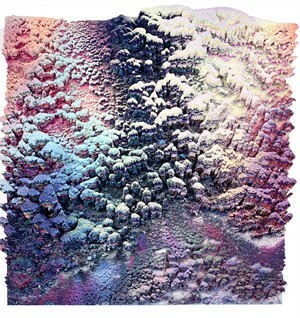 Gebbia-Richards’ topographic paintings are a symphony of rich tones and densely layered texture. 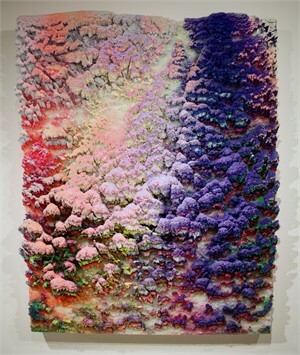 Through an intricate process of dripping wax, pigment and resin, he allows chance and gravity to define the direction of his work. By doing this, Gebbia-Richards seemingly charts undiscovered terrain that is reminiscent of mountainous ranges or vibrant coral reefs. The undulating forms, prismatic pigments and glimmering light used in Rogers’ and Gebbia-Richards’ work captivate the senses and remind the viewer how the forces of nature shape our world. Changing Tides will be on view through February 9th, 2019. Rogers’ works have been exhibited globally from Paris, London, Italy, Mexico City to Shanghai, Sao Paulo, South Africa, Los Angeles and more, and are held in private and public collections throughout the world. She has been featured in International Magazines, including Vogue, Harper’s Bazaar Art China, Elle Decoration, Global Times, The Independent, Casa Vogue, Photo Technique, Photo Korea and others. Rogers’ "Reckless Unbound" is currently housed at Longleat House in the UK; the stately home, which is the seat of the Marquesses of Bath and also home to Renaissance gems of the Italian masters, like Titan’s "Rest on the Flight into Egypt." 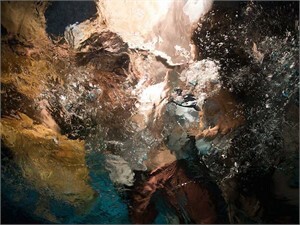 Rogers' art has been featured on several album covers, and her images were selected for the 2013–2014 performance season of the Angers-Nantes Opera in France. She mainly shoots in Hawaii, and currently lives in Nashville, TN. Gebbia-Richards attended the University of Colorado Boulder and received both his BA in art history and BFA in studio art. He has showcased extensively across the United States, including New York, Texas, Florida and Colorado, as well as in the UK. 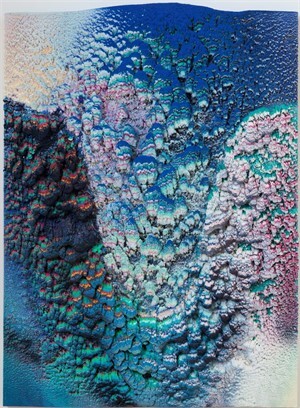 His work has been featured in the Boulder Museum of Contemporary Art, the Denver International Airport, and was chosen to be one of 20 emerging contemporary artists exhibited alongside Georgia O’Keeffe at the Crystal Bridges Museum in Arkansas in 2018. 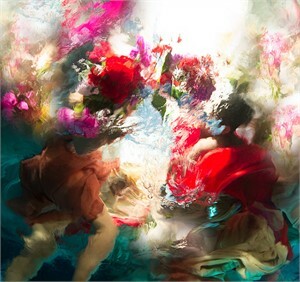 Dallas Design District gallery, Laura Rathe Fine Art (LRFA), announces a two-person exhibition featuring new works by Christy Lee Rogers and Dylan Gebbia-Richards. LRFA will be hosting the opening reception on Saturday, January 5th from 5:00-8:00pm with an artist talk at 6:45pm, moderated by gallery owner, Laura Rathe. Though one might think an artist has full control over the creation of their art, artists Christy Lee Rogers and Dylan Gebbia Richards let natural phenomena have the last say. 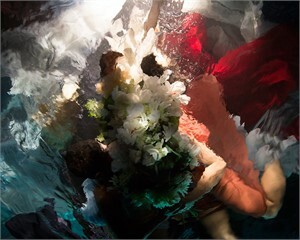 Rogers’ photographs are inspired by masterpieces from the Baroque era, but rather than relying on a steady hand and control of a brush, she builds these scenes through the unexpected movements of submerged models, vintage drapery, and the refraction of light through water – as if they themselves are “painting” the scene. Her remarkable eye then catches these celestial moments of beauty and vulnerability through the lens. 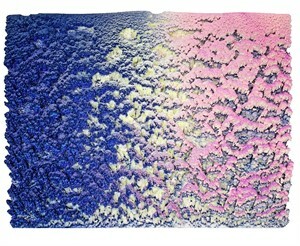 Gebbia-Richards’ topographic paintings are a symphony of rich tones and densely layered texture. 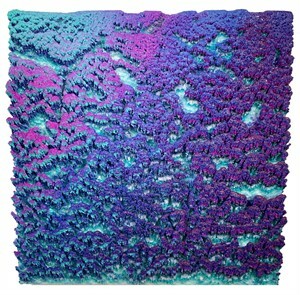 Through an intricate process of dripping wax, pigment and resin, he allows chance and gravity to define the direction of his work. By doing this, Gebbia-Richards seemingly charts undiscovered terrain that is reminiscent of mountainous ranges or vibrant coral reefs. The undulating forms, prismatic pigments and glimmering light used in Rogers’ and Gebbia-Richards’ work captivate the senses and remind the viewer how the forces of nature shape our world. Changing Tides will be on view through February 9th, 2019. 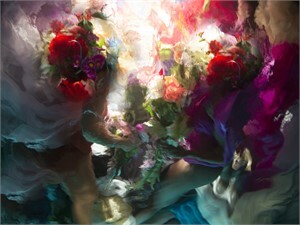 ABOUT THE ARTISTS CHRISTY LEE ROGERS Rogers’ works have been exhibited globally from Paris, London, Italy, Mexico City to Shanghai, Sao Paulo, South Africa, Los Angeles and more, and are held in private and public collections throughout the world. She has been featured in International Magazines, including Vogue, Harper’s Bazaar Art China, Elle Decoration, Global Times, The Independent, Casa Vogue, Photo Technique, Photo Korea and others. Rogers’ "Reckless Unbound" is currently housed at Longleat House in the UK; the stately home, which is the seat of the Marquesses of Bath and also home to Renaissance gems of the Italian masters, like Titan’s "Rest on the Flight into Egypt." 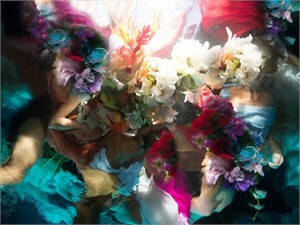 Rogers' art has been featured on several album covers, and her images were selected for the 2013–2014 performance season of the Angers-Nantes Opera in France. She mainly shoots in Hawaii, and currently lives in Nashville, TN. DYLAN GEBBIA-RICHARDS Gebbia-Richards attended the University of Colorado Boulder and received both his BA in art history and BFA in studio art. He has showcased extensively across the United States, including New York, Texas, Florida and Colorado, as well as in the UK. 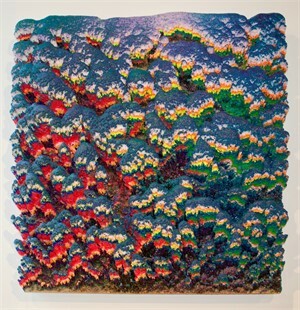 His work has been featured in the Boulder Museum of Contemporary Art, the Denver International Airport, and was chosen to be one of 20 emerging contemporary artists exhibited alongside Georgia O’Keeffe at the Crystal Bridges Museum in Arkansas in 2018.